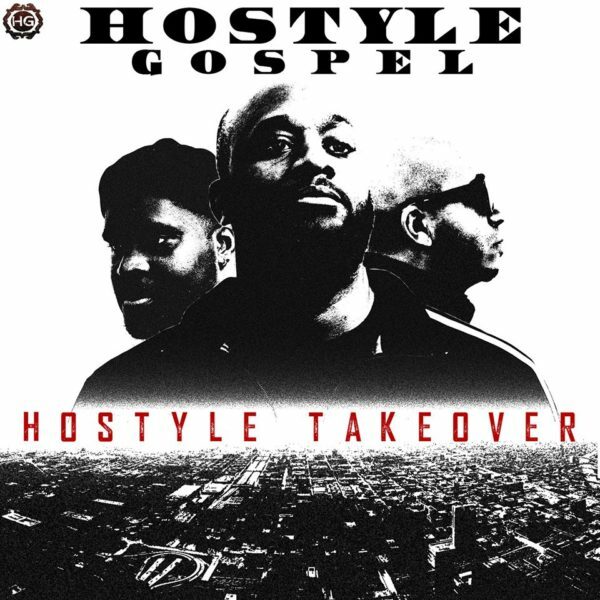 I recently had the chance to connect with the Illinois based rap group Hostyle Gospel and chat to them about their history, their mission and their new free music coming soon. Check it out. [JW] Could you introduce us to the Hostyle Gospel crew and where you’re all from? [HG] ProverbThePeachaman (Raynard Glass) Frontline rapper from Kankakee, Illinois. King Soloman (Demetrius Morton) Frontline rapper from Danville, Illinois. Big Job (Fontaine Pizza) Frontline rapper from Chicago, Illinois. [JW] How did you all come to Christ? and when did you all know you were called to be artists? [HG] (Big Job) It’s funny we all came to Christ around the same time! I mean, we started to walk and act like young men of God. We did this in our early 20’s when Proverb’s brother pretty much guided us to the correct way on how to follow the Christ. I guess you can say in some ways, his brother is responsible for how Hostyle Gospel became a group. [JW] How did you all come together to form Hostyle Gospel? HG] We formed from a bible study group called The Elite M.O.C. (Men of Christ) back in 2003. It goes like this, Proverb (Raynard Glass) and King Soloman (Demetrius Morton) began were the original faces of Hostyle Gospel. Until 2005 when Big Job (Fontaine Pizza) joined the front line to perform, record and speak with the group. [JW] One look at your name Hostyle Gospel might make some Christians a bit ‘nervous’, what was the thinking behind the name and the play on words? [HG] We want people to understand that our name serves as identification for our group as well as a movement against Satan and his actions, all the injustice in the world and anyone who is acting in an evil matter. That is why we write our lyrics so aggressively. It’s not because we are mad at the world, it’s because we are tired of being tired. And we are tired of Christians feeling like they have to be pushovers to please the world. The Bible called us to love the world, not to let the world walk all over us. This is why our message is hostyle (hostile). It’s the same message about how the Lord died and rose on the third day, but you will also hear about how you can help your fellow brother or sister in Christ and how you can defeat Satan at the same time. [JW] That’s awesome! If listeners could take away just one message from your music, what would you like it to be? [HG] That you don’t have to be oppressed by Satan. When Jesus died he gave you the power to speak life. So you should always be looking to speak life in a situation. Also, we want the listener to know we love music, so have fun listening to the beats and lyrics we put on our tracks. [JW] With such an aggressive style you guys must have come across your fair share of ‘haters’ within the super passionate CHH community, what would you say to anyone who doesn’t quite get what you’re all about? [HG] What we always say to our haters is that you may not like our music but God does. We have the ability to rap and we chose to represent Jesus with that ability. If you feel that our music isn’t for you, it’s ok because this music is really made for Christ’s glory. [JW] Which artists would you consider to be your biggest influences? [JW] For anyone who hasn’t seen you live before, what does a typical Hostyle Gospel show look like? [HG] A lot of running and jumping. At a typical concert we are jumping, dancing yelling and sometimes beating up on each other. [JW] Do you have any favorite moments of when you’ve seen your music directly impacting people’s lives at one of your concerts/in person? [HG] (Big Job) I always tell this story about when we rapped in front of teens at a youth home for seriously emotionally and behaviorally challenged teens. The leaders told us that the teens were feeling down that night, and some were not feeling the “Jesus Thing.” But that day no one could tell us or them the Spirit wasn’t in that room. Their hands were in the air, their feet were tapping to the beat and the entire room was yelling PRAISE THE LORD! And after I gave a testimony about how I once had a behavior issue, we had dozens of teens lined up after the show to tell us their testimonies and how they wanted to give their lives to Christ! [JW] Love that! Now although I’d heard bits here or there before, I was properly introduced to your music through your song & video “Clap” with Gemstones on your latest album Hostyle Takeover. What’s the story behind that song and how did you hook up with the ‘lyrical miracle’ Gemstones for it? [JW] As well as using some of his beats you also teamed up with the one and only Tone Jonez on the track Dream, what was it like to work with Tone Jonez on a track? [HG] Tone Jonez was great to work with! We met him at Flavor Fest 2013 where we talked about collabing with him on a future project. He gave us his card and as they say the rest is history. We are also working with him on our next project too. [JW] Time for a nice easy question…which track of your whole discography means the most to you?! [JW] Are there any artists out there you would love to work with on a future track? [JW] You’re currently running a Go Fund Me campaign to raise the funds for your new album Alternative Musik. Could you share about why you’re excited about the new project and why you’re releasing it for free? [JW] That’s cool, are there any songs on the new project already emerging as favourites which you just can’t wait to share with the world? [JW] We look forward to it! What does the rest of 2018 hold for you guys? [JW] What song or album by another artist are you currently obsessed with? [JW] Are there any bible verses which mean a lot to each of you? [JW] How can the JesusWired readers be praying for you guys? [HG] For the album “Alternative Musik” to be made and also that it touches lives. [JW] Thanks for talking to us today guys, any final comments?